Cloud computing is a technology that uses the internet for storing and managing data on remote servers, and then access data via the internet. This type of system allows users to work on the remote. Cloud computing customers do not own the physical infrastructure; they rent the usage from a third-party provider. Cloud Computing and the Essential characteristics of cloud services are On-demand self- service, Broad network access, Resource pooling, rapid elasticity. 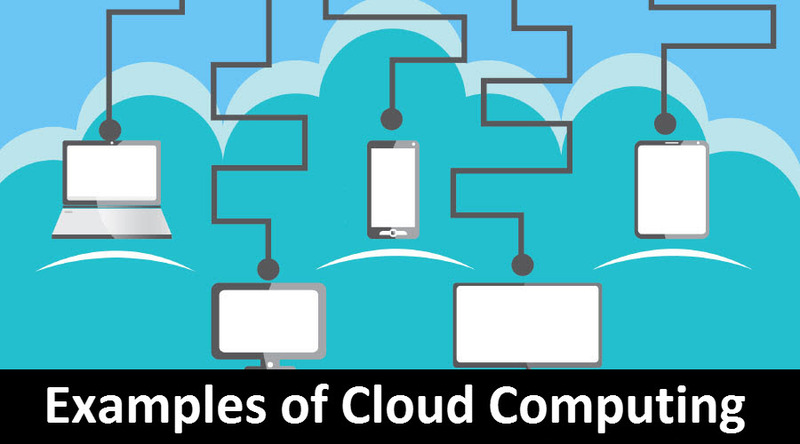 Cloud computing is so successful because of its simplicity in its usage. They are a cost-effective solution for enterprises. The various features are Optimal Server Utilization, On-demand cloud services (satisfying client), Dynamic Scalability, Virtualization techniques. One such example is Google cloud – It is a suite of public cloud services offered by Google. All the application development run on Google hardware. They include Google Compute Engine, App engine, google cloud storage, Google container engine. SAAS (Software-as-a-Service)- Examples Microsoft Office Live, Dropbox. IAAS (Infrastructure-as-a-Service) – Examples IBM cloudburst. Economics of scale: The rapid growth of e-commerce and social media has increased the demand for computational resources. In larger data centers, it is easier to maximize the amount of work and reduce idle server time. Expertise: Companies built data centers for their internal cloud, they could develop expertise and technology to build public data centers. Open-Source Software: The Linux operating system has become a major cloud computing enabler. Private Cloud: It functions for single organizations on a private network and it is secure. Ex: Corporate IT department. Public Cloud: It is owned by the cloud service provider. Ex: Gmail. Hybrid cloud: It is the combination of both private and public version of the cloud. Ex: Proprietary technology. Amazon EC2 & S3: Is a key web service that creates and manage virtual machine with the operating system running inside them.EC2 is much more complex than S3. Google App Engine: Is a pure PAAS service. It is represented by the web or application server. Cloud can be used for storage of files. The advantage is an easy backup. They automatically synchronize the files from the desktop. Dropbox allowing users to access files and storage up to 1 terabyte of free storage. Social Networking platform requires a powerful hosting to manage and store data in real-time. Cloud-based communication provides click-to-call capabilities from social networking sites, access to the Instant messaging system. Consumers store financial information to cloud computing serviced providers. They store tax records as online backup services. Using cloud computing, Medical professionals host information, analytics and do diagnostics remotely. As healthcare also comes in the list of examples of cloud computing it allows other doctors around the world to immediately access this medical information for faster prescriptions and updates. Application of cloud computing in health care includes telemedicine, public and personal health care, E-health services and bioinformatics. This is useful in institutions of higher learning provide benefits to universities and colleges so henceforth Education comes in the examples of cloud computing. Google and Microsoft provide various services free of charge to staff and students in different learning institutions. Several Educational institutions in united states use them to improve efficiency, cut on costs. Example- Google App Education (GAE). They allow the user to use their personal workspace, teaching becomes more interactive. They deliver e-Governance services to citizens using cloud-based IT services. They have the technology to handle large transactions, citizens can see fewer congestion bottlenecks. Big data analytics is another example of Cloud computing, As cloud computing enables data scientist in analyzing their data patterns, insights, correlations, predictions and help in good decision making. There are many open sources of big tools like Hadoop, Cassandra. Cloud allows network-based access to communication tools like emails and calendars. Wats app is also a cloud-based infrastructure as it comes in communication it is also one of the examples of cloud computing. All the messages and information are stored in service providers hardware. Business email is cloud-based. ERP, document management and CRM are based on a cloud service provider. SAAS has become an important method for the enterprise. Examples include Salesforce, HubSpot. They make many business processes more reliable because data can be copied at multiple redundant sites on the cloud providers. There are various applications of cloud computing in today’s world. Many search engines and social networks, business is using the same concept. Using google wave we can create a document and invite others to comment. Examples Spice bird, Mikogo. Google is currently the forerunner of cloud computing as it produces accurate and instant results for thousands of search queries. Reduced cost: The billing model is paid as per usage. Initial expensive and recurring expenses are much lower than traditional. Increased Storage: They have massive storage and maintenance of large volumes of data. They are scalable, as we can pay for the amount of storage required. And are used in emergency back up plan. Performance on shared infrastructure can be inconsistent. Servers maintained by cloud computing can fall to natural disasters and internal bugs. Privacy and security in the cloud are much more concerns. reliability, As well as privacy. Vendor lock and failure is also another concern in cloud computing. Data Transfer costs: Outbound data transfer over the monthly basis is charged as per GB Basis. Downtime: If the internet connection is down, Unable to access any of the applications, server or data from the cloud. The popularity of cloud computing is grooming day by day due to its numerous benefits. The ability to avoid expensive software license costs is one of the factors that enables companies to provide cloud services. They are internet based Cloud resources are available over the network anytime and are accessed through a standard mechanism that promotes use by different types of platforms (e.g. : mobile phones, laptops, and PDAs). They also help in e-learning by providing many services online for education. Cloud computing allows focussing more on business, not on data centers.